The poker world descended on the Melia Caribe Tropical Punta Cana in the Dominican Republic for the 2017 Caribbean Poker Party Festival put on by Party Poker LIVE. 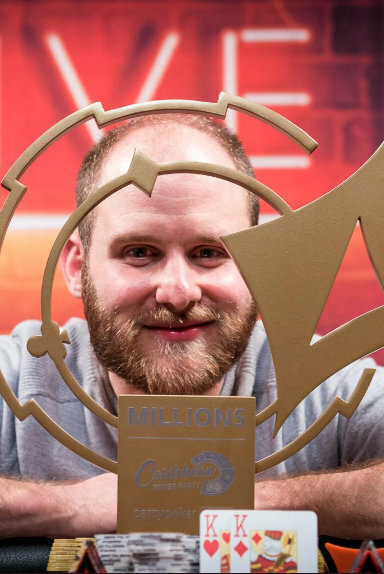 The series featured several massive events with seven-figure guaranteed prize pools, and as you would expect, these big events ended up making their mark on the Player of the Year rankings. The series kicked off with a $1,100 buy-in tournament that featured a $1,000,000 guaranteed prize pool. 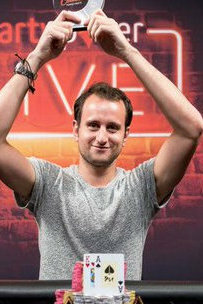 German poker pro Rainer Kempe emerged victorious from a field of 812 entries to capture the title, $200,000 and 912 POY points. This was Kempe’s second title and 12th final table finish of the year. The win was enough to see him shoot into 13th place on the POY leaderboard, with 4,139 points and $2,651,132 in earnings on the year. The second major event of the festival was a $10,300 buy-in high roller event that also sported a $1,000,000 guarantee. Preben Stokkan came out on top, defeating Jonathan Little heads-up for the win. Sam Greenwood placed third, earning $124,100 and 400 points, but the Canadian pro was just getting started at this series. Greenwood would go on to make two more final tables, but more on that later. Steffen Sontheimer finished seventh for $55,000 and 150 points. Just two days later Sontheimer placed sixth in the $25,500 super high roller event, adding $50,000 and 140 points to his year-long totals. Sontheimer has three titles and 15 final table finishes in 2017, with 4,642 points and $6,725,332 collected along the way. The young German’s breakout performance has catapulted him into fifth place in the overall standings. Sontheimer has lifetime live tournament earnings of $7,437,324, which means that just over 90 percent of his career scores were made in this year alone. Sam Greenwood finished second in the $25,500 super high roller event for $242,750 and 350 points, while Spanish rising star Adrian Mateos placed fourth for $110,000 and 210 points. Four days later Mateos took down the $5,300 no-limit hold’em $1,000,000 guaranteed ‘FINALE’ event, defeating a field of 215 entries to win $250,000 and 720. This was Mateos’ fourth title of the year and 17th final table finish. With 5,822 points and $4,816,271 in year-to-date earnings Mateos has taken over second place on the POY leaderboard. The 23-year-old is now only 886 points behind POY race leader Bryn Kenney. 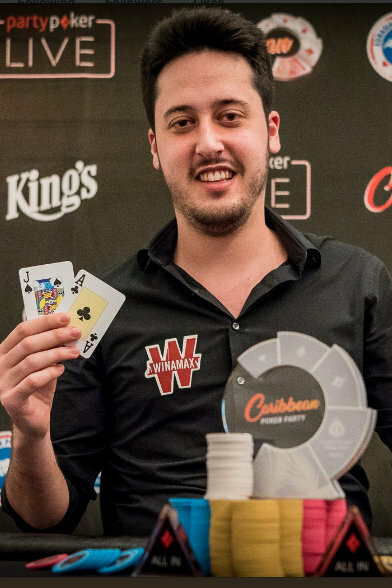 Mateos’ other titles include a win in an $80,000 HKD high roller in Macau, the €50,000 super high roller event at the PokerStars Championship Monte Carlo and the WSOP $10,000 heads-up no-limit hold’em championship. Mateos’ earned his third bracelet with that win, becoming the youngest player to ever win three WSOP bracelet events. The final event of the series to wrap up was the $5,300 buy-in, $5,000,000 guaranteed no-limit hold’em main event. The tournament drew a huge field of 1,061 entries to just surpass the massive guarantee. In the end it was none other than Sam Greenwood who came out on top, capturing the title, the $1,000,000 top prize and 1,920 POY points. 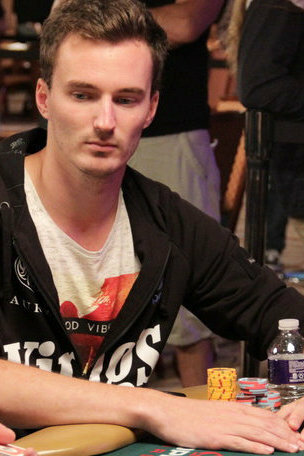 Greenwood made three final table finishes during this series, cashing for more than $1,350,000 along the way and finishing in third place or higher each time. This was his seventh final table finish of the year and his largest cash of 2017. With 3,650 total points and $2,115,757 in year-to-date earnings, Greenwood has climbed into 19th place on the overall Player of the Year leaderboard. 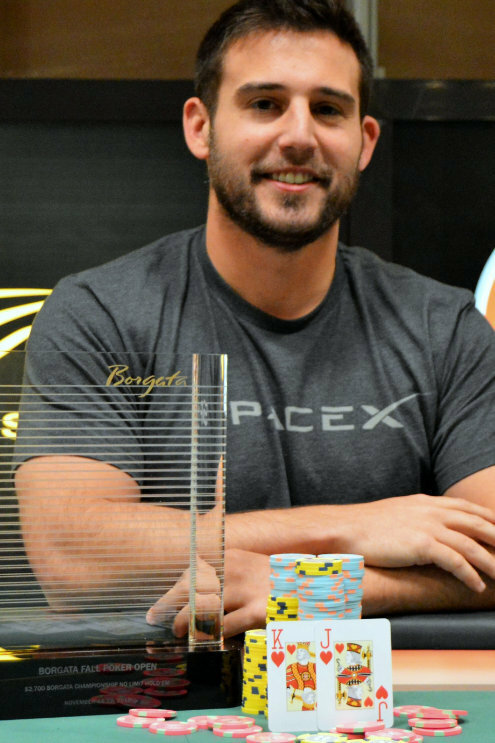 Darren Elias captured his second title of the year when he won the 2017 Borgata Fall Poker Open $2,700 buy-in $1,000,000 guaranteed no-limit hold’em event. Elias outlasted a field of 473 entries to secure the trophy and the $293,062 first-place prize. Elias also earned 1,080 Player of the Year points for the win. This was his seventh final-table finish of the year, with his other title run being in the World Poker Tour Fallsview Poker Classic $5,000 CAD buy-in main event. Elias topped a field of 489 in that tournament to capture his third WPT title, the $335,436 top prize and 1,440 POY points. He has two other six-figure scores this year, finishing third in the WPT bestbet Bounty Scramble main event for $135,548 and 640 points and third in the World Series of Poker $10,000 no-limit deuce-to-seven lowball event for another $110,944 and 360 points. With 4,080 total points and $1,024,729 in year-to-date earnings, Elias has moved into 14th place in the overall Player of the Year standings.